What is Babaji's Kriya Yoga? Babaji's Kriya Yoga is a scientific art of God, Truth union and Self-Realization. It was revived by a great master of India, Babaji Nagaraj, as a synthesis of ancient teachings of the 18 Siddha tradition. 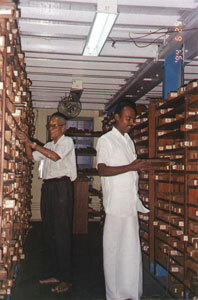 It includes a series of techniques or 'kriyas' grouped into five phases or branches. Paramahamsa Yogananda taught that practice of Kriya Kundalini Pranayama can accelerate the natural progression of Divine Consciousness in human beings. 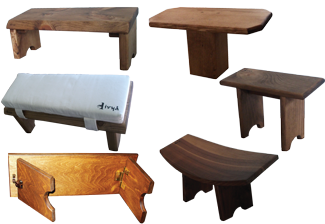 Until the end of April, when you make your order for these articles, we will deduct 20% from its normal retail price. Visit the Bookstore for more details and sale. My wife, Jan "Durga" Ahlund and I have recognized for many years the need for a book that would explain to both those interested in learning Kriya Yoga and those already embarked on its path, why they should practice it, what are the difficulties, and how to overcome them. 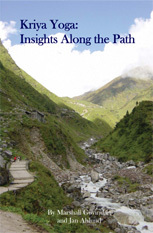 We believe that this book will help prepare everyone for the challenges and opportunities that Kriya Yoga provides. Every one of us faces the resistance of our human nature, ignorance as to our true identity, and karma, the consequences of years of conditioning by our thoughts, words and actions. By cultivating aspiration for the Divine, rejecting egoism and its manifestations, and surrendering to our higher Self, pure Witness consciousness, we can overcome this resistance, our karma and the many obstacles on the path. But, to do so, we need much support and insight along the way. 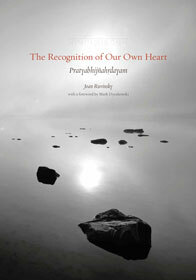 In The Recognition of Our Own Heart: Pratyabhijñahrdayam, non-dual yoga and meditation teacher Joan Ruvinsky offers up a beautifully illustrated interpretive translation of one of the foundational texts of Kashmiri Shaivism — twenty short verses that address fundamental and universal questions. Part poetry, part guidebook, part art, it conveys the richness and incandescence so characteristic of the lineage without losing sight of the last 400 years of philosophical inquiry, spiritual revelation, and scholarship. "With deep reverence for this 11th-century text, four women sat with all the translations they could find, chanting the Sanskrit, studying, analyzing, and finally sensing and feeling into each line until there was consensus, a mutual “ah,” and shimmer of recognition in the heart. Ruvinsky’s poetic ponderings, sourced from this deep exploration with her beloved colleagues, her own intuitive understanding, and burnished in the wisdom of pure consciousness, is her final gift to us. I am ever-grateful." On a pilgrimage, one seeks to come close to the Divine by meditating in sacred places that provide a terrestrial "doorway" to the Infinite and the Absolute. 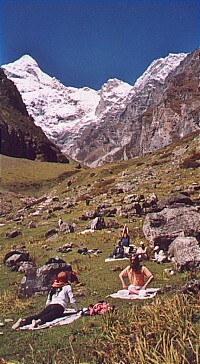 One may easily experience the "Divine Presence" in such a place as Badrinath, which has been sanctified by the spiritual practices of many yogis and saints which is associated with Babaji's life and realization. 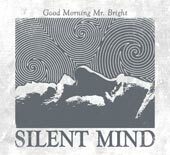 "With this work, Enlightenment, Govindan delivers the gifts of siddha masters to our doorsteps." Sri V.T. Neelakantan recorded verbatim a series of talks given by Satguru Kriya Babaji in 1953. These are a fountain of delight and inspiration, illuminating the Kriya Yoga path towards God realization, unity in diversity and universal love. They also reveal the magnetic personality of Babaji and how he supports us all, with much humour and wisdom. 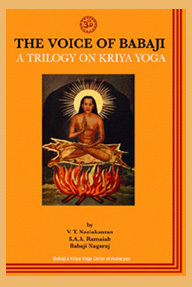 They were originally printed in three volumes: "The Voice of Babaji and Mysticism Unlocked," "Babaji's Masterkey to All Ills, (Kriya)" and "Babaji's Death of Death (Kriya)." 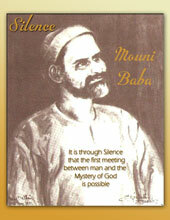 Includes the fascinating accounts of the meetings with Babaji in Madras and in the Himalayas by authors V.T. Neelakantan and Yogi S.A.A. Ramaiah. Out of print for nearly 50 years, they are profound and important statements from one of the world's greatest living spiritual masters. 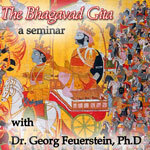 New DVD: "The Bhagavad Gita: Values for the 21st Century, a video recorded seminar with Dr. Georg Feuerstein, Ph. 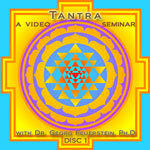 D"
New DVD: "Tantra: a video recorded seminar with Dr. Georg Feuerstein, Ph. 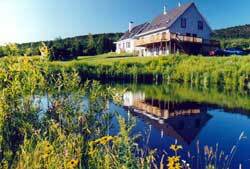 D"
Recorded at the Babaji’s Kriya Yoga Ashram in St Etienne de Bolton, Quebec, Canada, July 1, 2001. 6 hours 24 minutes. 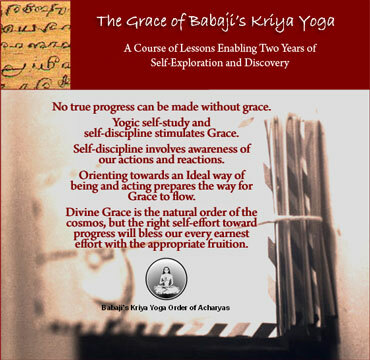 New Ebook: "Recovering the Self: Essays on Babaji's Kriya Yoga"
This ebook lovingly offers personal insights and experiences, which Nityananda has had with Babaji’s Kriya Yoga over his decades of practice. This work describes the origin of this Kriya Yoga path and explains in an easy and interesting way its many different aspects and benefits. 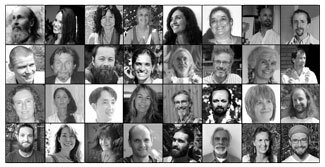 It also analyzes the challenges that the student must face, grants understanding of them and proposes different useful suggestions to improve the yogic practice in one’s personal life. If you are thinking about Initiation into Babaji’s Kriya Yoga, these texts will give you a general view of it, a useful introduction. If you are already initiated, they will support you and guide you in your practice, providing you with a better understanding of the path, the pitfalls inherent in it, and how to advance successfully along it.